Information ? ows seamlessly from one product to the next, and simulation tools that were not designed speci? 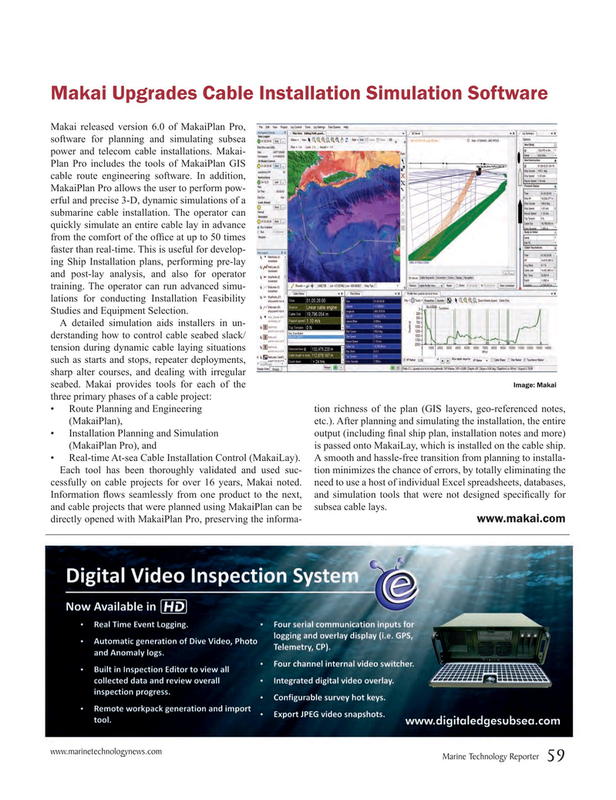 cally for and cable projects that were planned using MakaiPlan can be subsea cable lays.